After a night of entertaining, and a few hours spent cleaning our kitchen, Sunday night rolled around and Ben and I were beat! We had some leftovers, but not enough to make a meal out of it (perfect for my Monday lunch though!). Resisting another trip to the grocery store, we scour our fridge for a meal. Alas, we have chicken! 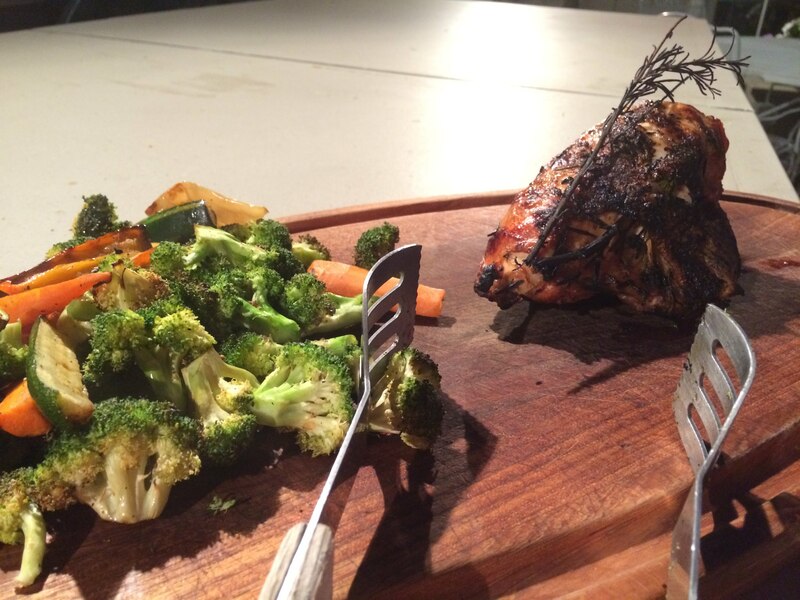 And not just any chicken – air chilled, organic, bone-in, skin-on chicken breast – perfect for Ben’s Famous Lavender Grilled Chicken. Ben picked some lavender and rosemary fresh from the garden and we paired the chicken with some simple grilled vegetables. Delicious and dinner was ready with very little effort! 1. Preheat your grill to 450. 2. Lightly brush the chicken skin with olive oil. 3. Using your preferred smoked salt, season the chicken to your desired level of saltiness. Feel free to add a little pepper on there also, if that’s your cup of tea. 4. Gently separate a corner of the skin from the breast (enough to fit a finger in). 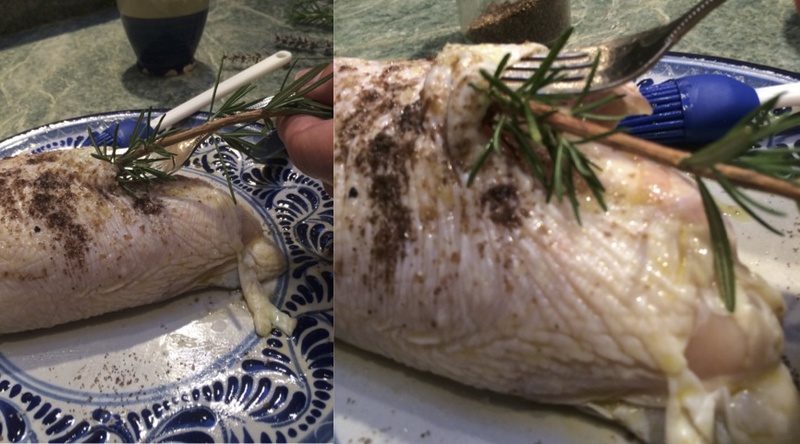 Insert the rosemary and lavender sprigs into the small opening so they sit between the skin and the breast meat. 5. Grill for 25 minutes or until the internal temperature of the breast is 165 degrees. Enjoy with a summer vegetables medley! We had broccoli, gypsy peppers, carrots, and zucchini on hand so we just sliced and diced, lightly coated in olive oil and sea salt, and heated in up alongside the chicken. 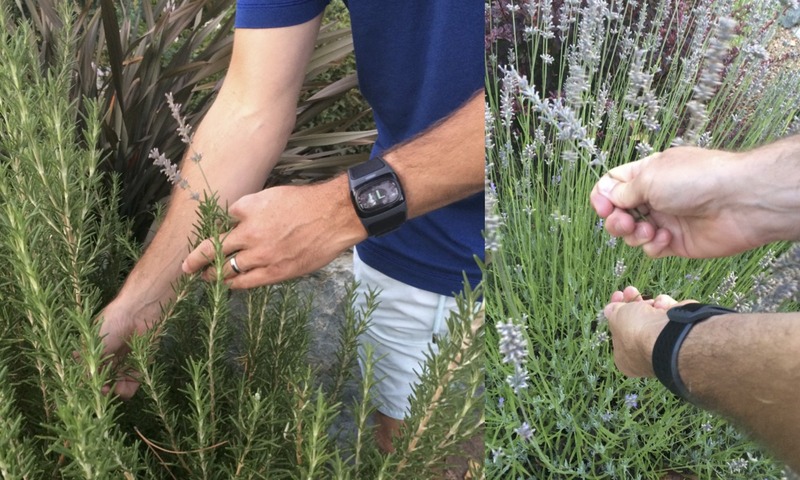 Don’t forget to stop for a moment to take in the refreshing summer aromas of lavender and rosemary (even just a second – I know the chicken is hard to resist, but you can do it!). Delightful? I think yes! « An Argentine-Inspired Asado, Paleo Style!